Two Buffalo health care providers are taking advantage of advances in technology to provide more care to patients at home. The Greater Buffalo United Accountable Healthcare Network (GBUAHN) has begun a partnership with Tyto Care to enable live telehealth visits and in-home medical examinations through its patient health navigators; while the Visiting Nursing Association of Western New York (VNA of WNY) will offer enhanced services for its home-based patients through a partnership with Health Recovery Solutions. GBAUHN invested in 25 telehealth equipment kits, which its navigators will take to the homes of Medicaid patients it has deemed high utilizers of health services, with a goal of avoiding unnecessary ambulance calls, emergency room visits and inpatient stays. The navigators will use the portable, hand-held examination devices to allow doctors to remotely examine the patient’s heart, lungs, skin, ears, and throat as well as measure blood pressure, oxygen levels and body temperature. Dr. Raul Vazquez, CEO at GBAUHN and G-Health Enterprises, said exam data can be sent to a patient portal for review, or connect with a physician in real-time for a live telehealth visit. One of the last things people want to hear during the holidays is that they need to lose weight and exercise more. Still, there are several steps you can take to maintain weight, boost your energy during the coming weeks, and start or continue habits that will help you start the new year right. “I try to counsel people if they’re overweight to change their habits just a little bit,” said Dana Ingebretson, a registered dietitian with Urban Family Practice and the Greater Buffalo United Accountable Healthcare Network (GBUAHN). That includes eating at least three smaller meals throughout the day, each containing a vegetable or fruit, healthy fat and protein. Ingebretson and Andre Neal, a personal trainer with GBUAHN, offered the following tips for a healthier holiday season. 1. Practice portion control - “The holidays are coming up and you know it’s going to be hard not to eat,” Neal said, “but if you can portion the amount you eat, that’s better.” Portions of most foods at any meal should be about the size of your palm (salads, two palms), with higher-fat foods like cheese or peanut butter more the size of your thumb. 2. Balance counts - “The holidays can offer lots more relaxing time, “but make the effort and find the time to get up and stay active,” Neal said. Focus on cardiovascular fitness, which burns calories, he said. If you don’t have time to spend at the gym, walk on the treadmill at home. If you don’t have a treadmill, take a walk outside – “particularly after a big meal," Ingebretson said. Sarah Burks was a bit heavy three decades ago, while a student at South Park High School, but her weight took a slow, steady climb in the years that followed. A diet anchored by fried chicken, hamburgers, French fries and soda pop combined with a work life on her feet in grocery and department stores, on farms, and, for about a decade, as a certified nursing assistant. Burks, 55, lived most of those years outside New York City. She returned to Buffalo about a dozen years ago for a new job but things went south during her physical exam. Her blood pressure registered an alarming 170/100. She was nearly blind in her left eye. Obesity had taken a toll on her knees and back. 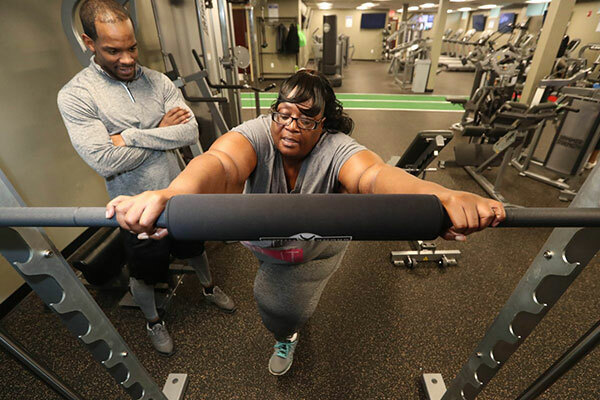 She has since been jobless, on disability assistance, but these days Burks talks about returning to work, thanks to a new wellness program set up last fall on the West Side to lift her and others on Medicaid to better health. Remember a few years back when hospitals banned the use of mobile devices because they might mess with electronic life-saving machinery? These days, hospital and health care leaders encourage the use of mobile devices before, during and after a hospital visit. It ties in with the growth of mobile apps and health IT systems that can be tools to improve health for individuals and populations. Here’s a look at new apps and programs introduced in recent months by Western New York health care organizations. R Kaleida Health introduced an emergency room check-in program called InQuicker. Patients can view wait times at area emergency departments, then check in online ahead of time at Millard Fillmore Suburban Hospital and DeGraff Memorial Hospital for non-acute conditions. The early check-in enables users to schedule a visit, describe their complaint and then wait at home rather than in the waiting room. A three-year federal grant will allow three area health providers to expand access to medication-assisted treatment to Medicaid recipients with opioid addiction. The $1.5 million grant from the Substance Abuse and Mental Health Services Administration (SAMHSA) will see Endeavor Health Services working with the Greater Buffalo United Accountable Care Organization (GBUACO) and Monroe Health Plan, a Rochester-based company that operates YourCare Health Plan in Buffalo. YourCare Health has been working with GBUACO since 2016 through a state-designed Medicaid accountable care organization to reduce costs and improve care for Medicaid recipients. The new federal grant will help primary care doctors in the GBUACO network expand access to MAT services, including medications like buprenorphine, to patients with opioid use disorder. Endeavor Health will provide behavioral health services as well as access to MAT services and other programs. Q: We wanted to talk about your work with Medicaid patients over the years. A: We run what’s called G-Health Enterprises. We created so many groups over the years that it started to almost sound like they were competing with each other, so we put them all under one umbrella, G Health Enterprises. I started out in 1996 opening a private family practice in the inner city, Urban Family Practice. During that time we did great work and, in 2003, built a facility. I’ve been trying to address the social aspects of health since 1996. Transportation, housing, food, those things often interfere with patient care. We built the facility in 2003 to have patients be able to get more services like urgent care, some surgeries, X-rays on site, things we hadn’t been able to do prior to that. Q: How did you connect with other physicians? A: From there I identified eight physicians who were kind of safety net physicians in the area and organized them around 2008, 2009. We formed an independent practice association, Buffalo United, and that practice association was a corporate platform under which we could work together. Whenever you have doctors working together on something, there are a lot of legal regulations that can get you into trouble. Executives of four prominent health care organizations in Buffalo see a lot more togetherness when they look down the road to 2023. That five-year prediction is significant given that Buffalo Medical Group, Erie County Medical Center, G-Health Enterprises and Kaleida Health have competed for patients, providers and innovation. But cooperation was the sentiment among the four at the Future of Health Care Round Table Discussion held recently at Business First. Jesse Cole imagined himself becoming a highly paid physician working in a fancy hospital, just like those featured on television shows. "That would be my career," said Cole, who was raised in suburban Maryland and came to Buffalo to study medicine. Why? Because of the semester he and 13 fellow students at the University at Buffalo Jacobs School of Medicine and Biomedical Sciences spent in one of Buffalo's poorest neighborhoods. Through the fledgling Health in the Neighborhood course, first-year students experienced life in an underdeveloped, mostly black community. Their firsthand look at housing blight, economic challenges, limited access to grocery stores – coupled with health inequities and disparities – resonated deeply as they train to become the next generation of doctors. A new care and prevention center on Niagara St.
Just months after the groundbreaking of the $6-million facility on Niagara Street, Greater Buffalo United Accountable Healthcare Network CEO Dr. Raul Vazquez seems pleased with the success doctors, nurses, specialists and care coordinators are having at touching the lives of patients who otherwise might fall between the cracks, lost to addiction or disease. The approximately 200 staff members employed at GBUAHN are proud of the new four-story building, eager to show off its labyrinth of corridors, call centers, consultation rooms and offices. This place has become not just a job opportunity, they say, but a source of pride on Buffalo’s West Side. And they’re eager to tell the stories of success and thanks they’ve seen and heard firsthand in treating the area’s Medicaid participants as a Lead Health Home. Not one to sit still, Vazquez knows the progress made addressing healthcare for Buffalo’s urban populations is only just beginning. And largely through his own funding, he’s ready to think big. “I would rather wear that hat than have somebody else wear it for me,” Vazquez, a Bronx native and University at Buffalo Medical School graduate, says. The front of the Urban Family Practice office on Jefferson Avenue looks as unassuming as it gets along a nondescript strip mall on the city's East Side. But inside, Drs. 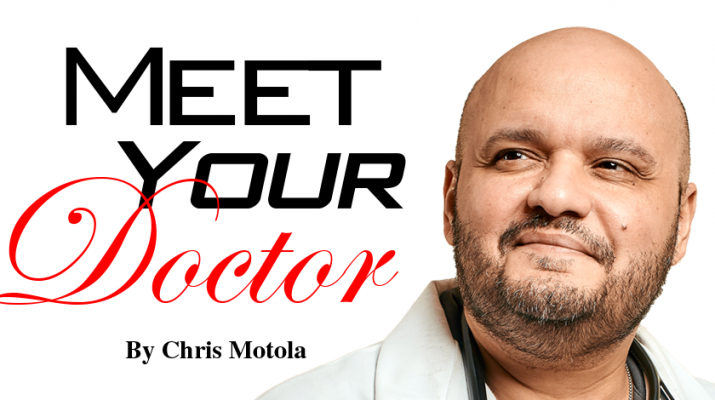 Raul Vazquez and Chet Fox are building what they see as the primary care medical practice of the future. They're following a recipe Vazquez is using on the West Side, where he recently opened a new $6 million building that serves as the headquarters for his Urban Family Practice, as well as an assortment of newer ways to deliver and pay for care. These include value-based arrangements in which doctors and hospitals take on more of the financial risk of ensuring that their patients receive the services they need. One of the new payment models is the Greater Buffalo United Accountable Care Organization operated in partnership with YourCare Health Plan, a Rochester insurer. The organization, which includes doctors from throughout Buffalo, is responsible for thousands of Medicaid patients in a contract that imposes quality measures and puts the doctors at financial risk for costs. Since the grand opening of its new Lower West Side facility in September 2017, Greater Buffalo United Accountable Healthcare Network (GBUAHN) has been growing by leaps and bounds. As of Friday, February 1 of this year, the healthcare network has enrolled a whopping 8000 members. The incredible growth is being attributed to myriad factors. Not only did GBUAHN build state of the art facilities, the Lower West Side campus is also conveniently located in a neighborhood that serves its primary client base. GBUAHN’s new multi-million dollar medical facility at 505 7th Street (learn more), is located directly behind 564 Niagara Street, Building 2. GBUAHN acknowledges that its continued growth is partially due to its convenient location. But it also states that its clients appreciate the effort that goes into helping them to navigate the oft-complex Medicaid system. GBUAHN has also been making significant strides in ensuring that its patients have access to maintenance care for chronic conditions such as diabetes, asthma and high blood pressure. With the help of dietitians, and other health oriented resources, the goal is to keep patients healthy, rather than seeing them rolling through the door for emergency visits. The result from all of these initiatives is a tripling of size of the healthcare network over the last five years.